In 2010, a 62 year old abandoned mansion and its grounds located at 20 Peak Road on the Peak was sold for HK$750 million. The mansion was the former residence of Kiang-Yuen Shang (項康原, 1895-1968, hereafter refer to as “K.Y. Shang”), the founder of China Can Company (康元製罐廠) and on the grounds of the estate was a circular stone table with the seal of China Can – a bowl of rice and a pair of chopsticks, which reflected the founder’s noble aspirations of provide employment to everyone and feeding their families. Founded in Shanghai in 1922, China Can was a pioneer in tin lithography and can making in China, Hong Kong and Indonesia and aside from producing metal packaging for a variety of industries, its tin toys were extremely popular in China in the 1930s-50s before the rise of plastic toys. An innovative industrialist, Shang himself was also a pioneer in promoting scientific management, industrial design, employee benefits and locally-made products in Asia, which all contributed to his success and the development of local industries. A native of Hebei province, K.Y. Shang was born in Shanghai in 1895 and graduated from Nanyang Public School (南洋公學, predecessor of Chiao Tung University) and the Woosung Maritime Academy (吳淞商船學校,now Shanghai Maritime University). He worked for several years at an orphanage founded by the Shanghainese tycoon Wang Yi-ting (王一亭) and later joined the staff of the Christian warlord Feng Yu-hsiang (馮玉祥) where he was responsible for coordinating transportation and managing a fleet of trucks. After the May 4th movement in 1919, patriotism swept across the country leading to booming demand for Chinese-made products and rapid growth of various domestic industries. At the time Chinese manufacturers had to rely on imports from Japanese and American can makers for metal packaging. Tired of working for a warlord whose primary interest was to decimate his enemies and seeing a profitable commercial opportunity that could also help strengthen China through industrialization, Shang became involved in the can industry. In 1920, Shang’s old employer Wang Yiting, who made his fortune as a comprador for Japanese shipping companies, joined forces with a Japanese merchant to take over the operations of a failed Japanese enamelware factory in Shanghai and renamed the enterprise Kosho Enamelware K.K. (工商琺瑯株式會社), which manufactured both enamelware and cans. Shang was likely first exposed to can making and tin lithography through his involvement with Kosho. Business were difficult in the first two years but by 1924 it was big enough to acquire the can manufacturing operations of Kosho (the enamelware part of that business went to I-Feng Enameling) on Ward Road and the capital of the firm was expanded to $120,000. In 1927, the firm entered a period of high growth, adding staff and equipment. By 1928, sales were over $300,000 which was 1.5 times that of the prior year, jumping to $550,000 in 1929, $670,000 in 1930 and exceeding $1 million in 1931. Aside from rising market demand, several factors contributed to Shang’s success. He maintained the highest standard in product quality and also placed significant emphasis on product design, with one of the largest and most respected design departments in Republican era China. Shang was also very keen on improving industrial efficiency and reading up Japanese and English literature on the topic, he became a strong believer of scientific management (also known as Taylorism based on its American developer Frederick Winslow Taylor). After 4 years of hands-on effort, he successfully implemented scientific management at his factories by 1931 and as result productivity and profits increased. As a board member of the China Institute of Scientific Management (then run by former Tsinghua president Y.S. Tsao who was also one of the earliest Chinese graduates from Harvard Business School) alongside other like-minded leading industrialists such as P.N. Woo of Tien Chu, Wang Yunwu of the Commercial Press and Hsiung Tsai of Mayar Silk Mills (grandfather of Marjorie Yang of Esquel Group), Shang was one of the earliest proponents of scientific management in China. And consistent with his business philosophy that was reflected by his firm’s logo, Shang took good care of his workers by offering free medical treatment, free educational programs, free meals and recreational facilities for his staff, which was unheard of at the time. To support the growth of his business, Shang brought in high profile shareholders and board members who not only provided capital or business referrals but also helped raise the profile of the firm nationally. From the banking sector there were Chang Kia-ngau from Bank of China and two individuals affiliated with the Sin Hua Trust & Savings Bank – Ling Kang-hou (林康侯 1876-1964) and Wang Chi-Sun (王志莘, 1896-1957), a graduate of Columbia Business School who was also a leader in the Chinese Products movement. As the firm relied on imports for raw materials, Shang also recruited compradors such as Chow Chung-liang (周宗良 1875-1957), the comprador best known as the “King of Dyestuff” who became a major investor in China Can over the years and first invested in the firm in 1937 and Chu Ren-Kiang (朱吟江 1875-1955), the partner of Jardines in the lumber business in Shanghai. From famous industrialists who were also clients there were Aw Boon-Haw, the Tiger Balm King who helped the firm expanding into Southeast Asia and Xian Guan-sheng (洗冠生), the well-known confectionary king. With the exceptions of Wang and Xian, all of the above mentioned directors eventually moved to Hong Kong and overseas. 1934 marked a year of major expansion for Shang. That winter, his firm gained a major foothold in Southern China via the acquisition of China Can Company Limited (“Hua yi” or 華益印鐵製罐廠 in Chinese) in Hong Kong, a firm started three years before by a former colleague by the name of John Yuen Wei-yang (阮維揚, 1901-1989). A graduate of the University of Shanghai, Yuen moved to Hong Kong when he saw an untapped opportunity for cans in South China and was amongst one of the first Shanghainese industrialists to come to Hong Kong where he was a founder of the Kiangsu-Chekiang Association in 1947 and an early member of the Rotary Club in Hong Kong. After the merger, the combined entity adopted the Chinese name of Kiang Yuen and English name of China Can with John Yuen staying on as manager of the Hong Kong factory and also oversaw sales in South China and Southeast Asia. 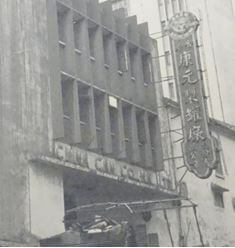 The original China Can factory in Hong Kong was located at 2 Davies Street in Kennedy Town and consisted of 80 workers, most of whom came from Shanghai. A large fire damaged the plant in August 1934 and subsequently the firm relocated to Shau Ki Wan. In addition to spending a lot of time in Hong Kong, Shang also embarked on a months-long tour of Southeast Asia in 1934 with Aw Boon-Haw to promote China Can products and also encouraged overseas Chinese to help their homeland by setting up factories and trading with Chinese manufacturers. That year, consolidated sales of China Can almost reached $2 million, of which the Hong Kong operations represented $400,000. In addition to the Hong Kong acquisition, factories were also established in Tientsin, Hangchow, Chungking, Nanking, Yangchow and Foochow to accommodate the strong demand. By 1935, total output of China Can exceeded 50 million cans and the sales figure was 26 times that of less than a decade ago. The firm continued its expansion in 1935 by raising $1 million in additional capital, raising the total capital amount to $5 million. Part of the capital raise was to fund a tin plate factory since China Can was still dependent on British, American and German suppliers for tin plates although it was making its own ink for tin lithography. The firm had over 1,500 workers in its main factories in Shanghai and 200 in Hong Kong, with 57 machines in the tin lithography department and 200 machines in the can department, most of which were imported from Europe and the US. By this time China Can was producing a wide variety of tin products – in addition to its core business of making cans for products such as biscuit, candies, medicine, cosmetics, tea, coffee, cigarettes and paint, it was involved in advertising, keys and locks and canned food. In 1935, it expanded into making tin plate toys, toy planes, wind-up tin monkeys and other animals (e.g. a leaping frog). One of its popular toy products during this period was a windup taxi toy which was used as a promotional item for the American Ford Hire Service (one of the four major taxi companies in Shanghai in the 1930s). 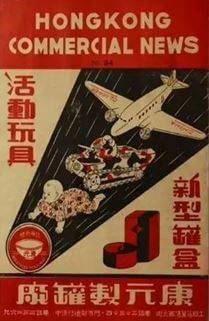 Before the emergence of plastic toys in the 1950s and 60s, the tin plate toys made by China Can were very popular. The toy operations in China continue to this day as Kang Yuan Toy Factory in Shanghai while the vintage tin toys manufactured by China Can from the 1930s-50s can be found in museums in Hong Kong and China today. When the Japanese took over in 1941, Shang was stranded in Shanghai and according to an article published by Ta Kung Pao in 1946, served as a Shanghai City Council member under the pro-Japanese Wang Ching-wei puppet regime. 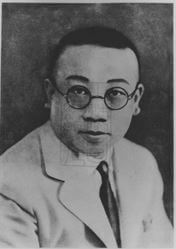 Given his patriotic stance (for example in the 1920-30s, China Can even had a patriotic theme song for workers to sing; he also served on a government appointed committee to coordinate the relocation of factories to the inland) and general philosophy as an industrialist, it was possible that he only cooperated with the Japanese in order to provide employment and save lives during those difficult years. While some merchants did indeed actively collaborate with Japanese to benefit themselves, some industrialists who stayed behind in the Japanese occupied area during the War were wrongly framed as collaborators after the War as KMT officials and workers tried to extort money from them. Unfortunately for Shang, some of his workers accused him of being a wartime Japanese collaborator and reported to the KMT authorities. To avoid a pending court trial, he left Shanghai for Hong Kong, never to return. In Hong Kong, China Can made decorative cans for the likes of the biscuit maker Garden, the cosmetic company Kwong Sang Hang and the sauce maker Amoy Canning and also continued to manufacture its popular tin toys. In 1951, the HK operations of China Can (which was a branch of the Shanghai company) was re-organized as China Can Company (HK) Limited with the families of K.Y. Shang, Chow Chung-liang (one of his sons was a German trained engineer who was involved in China Can), John Yuen and Liang Tze-yuan as major shareholders. At the time the HK plant had around 140 workers and was the largest amongst the dozen can makers in Hong Kong. With the help of John Yuen, Shang adapted well in Hong Kong and was elected vice chairman of the Chinese Manufacturers Association. Outside of work, Shang was a Christian with one of his favorite hobbies being riding. Not only was Shang concerned for his workers’ welfare, he also took good care of old friends who had fallen on hard times. 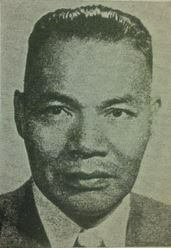 When Chang Kia-ngau, the former head of the Bank of China who at one point served as chairman of China Can, was struggling to make a living in the United States in the early 1950s and had trouble renting an apartment near Loyola University where he taught due to racial discrimination, Shang and ten other wealthy Shanghainese capitalists in Hong Kong each contributed US$1000 (total of $11000) to buy him a house and he and his family stayed in touch with Chang over the years. On July 23 1968, K.Y. Shang passed away at the Hong Kong Central Hospital at the age of 73 after an extended period of illness brought on by brain hemorrhage. He had 10 sons and 2 daughters. After K.Y.’s death, the Hong Kong business was led by one of his sons, Alexander Shang Chi-shi (項啟軒). Born in 1928, Alex was a graduate of the University of Shanghai where he was a leading baseball player. He assisted his father as production manager at China Can and also helped with promotion of export trade. When John Yuen founded the Rotary Club of HK East in 1954, he recruited K.Y. to become its 30th member but within a year K.Y. resigned due to ill health, so Alex took his place and he remained a member until 2000. As plastics replaced tin in terms of both product packaging and raw materials for toys, China Can’s traditional business of tin plate cans and toys declined over time. In one talk delivered to his Rotary Club, Alex Shang also cited strong competition from Japanese can makers which had the benefits of a large ecosystem and government support where industry was like “a flower in a garden” while industry in Hong Kong was like “a flower in a vase”. China Can’s manufacturing base in Shaukiwan also became more of a residential area than an industrial zone and in 1979, the Urban Planning Commission decided to re-designate the China Can factory site from industrial to commercial/residential, forcing the plant to shut down and the site was eventually re-develop into Shaukiwan Plaza. Alex Shang was the owner of 20 Peak Road from 1986 until the 2010 sale and his older brother W.F. Shang (項偉晃), a 1944 graduate of St. John’s University, was the owner of the nearby 16 Peak Road which was sold by his heirs (one of whom was Donald Shang Sze-ming 項世民, who was the investor relations manager for China Light & Power) in 2002 after his death in 1999. Today, the Shang family remains a major player in the Asian can industry through the successful business in Indonesia built up by one of K.Y.’s sons, Ray-Ziang Shang (項瑞象, aka “R.Z. Shang”, he also goes by the Indonesian name of Reza Soehadi). Born in 1923, R.Z. graduated from Shanghai Chiao Tung University in 1946 with a mechanical engineering degree and helped his father establish a China Can plant in West Jakarta in 1952. In 1969, the plant was converted into a three way joint venture named PT United Can Company (聯合製罐廠) with the Shang family controlled Davlyn Steel of Hong Kong owning 40%, Toyo Seikan Kaisha (the largest can maker in Japan, best known for the Sapporo Beer PET can) owning 50% and Continental Can (American) owning the remaining 10%. In 1990, Crown Cork & Seal acquired Continental Can and eventually sold out of United Can. Under the leadership of R. Z. who served as the firm’s President Director, United Can found success as a supplier of metal cans to leading multinational beverage makers such as Coca Cola & Co (Coke, Fanta and Sprite) and Nestle (Ovaltine and Milo) in the region, leveraging the technological edge and business connections of its Japanese and American partners and riding the rising waves of consumption in Southeast Asia. By 1992, the firm had sales of over US$65 million and had emerged as one of the leading can manufacturers in Southeast Asia. By 1997, it had six plants across Indonesia with a total annual output of 64,000 tons of tinplate cans. Building on the success of their partnership in Indonesia, the R.Z. Shang family (via Davlyn Steel) and Toyo formed Asia Packaging Industries in Vietnam and invested US$39 million to build a plant there in 2006 that is capable of annual production of 500 million cans per year. R.Z. and his wife Janie Kao Ching-yin (who received her MS in biochemistry from Oregon State in 1965) have two sons, both of whom work for United Can – Arthur Kai-Liang Shang (項基樑) who graduated from University of Michigan with an MSc in architecture in 1982 serves as Commercial Director while John Kai-Yunn Shang (項基恩) who graduated from MIT Sloan with a S.M. in 1985 serves as Operations Director. As for John Yuen, he became less involved with China Can after the 1960s as he had built a successful business with his John & Co supplying to the Asian tobacco industry as the Far East representative of the British cigarette machine maker Molins Machine and the American tobacco dealer Austin Co of Tennessee. Outside of work, he remained active in various local causes – charities, churches and Shanghainese fraternities but sadly his personal life was met with 2 tragedies – first in 1968 when his eldest son Ta-ming and his 2 daughters died in a plane crash in Taiwan which also claimed the lives of a number of prominent HK figures such as V.J. Song of Wheelock Marden and Nancy Kwok of Wing On and then in 1983 when his wife and his daughter in law (Ta-ming’s widow) were killed in an auto accident while vacationing in Switzerland. This article was first posted on 16th August 2016. Obituary of K.Y. Shang published in Chinese newspapers.